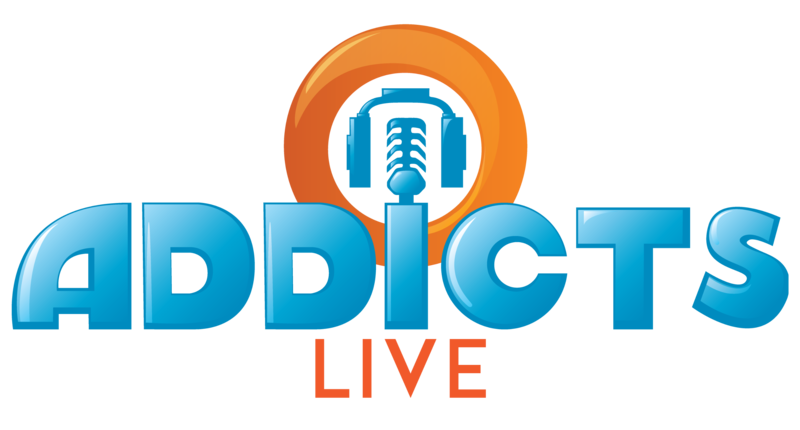 Just hear those sleigh bells ring-a-ling, jing jing jing-a-ling too… Yes Addicts it’s lovely weather for an origin together with you! Woo hoo! It’s holiday time in TSTO and with the first two Acts of goodness we got all sorts of different items. I’m seriously enjoying this event so far. Snowmen, Moe dressing up animals, merrymakers, reindeer burgers, holiday facades… so cool. 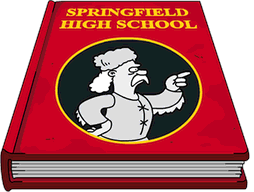 I could probably gush and gush about everything but that’s not what I’m supposed to be doing… it’s time again for me to dip into my noggin of Simpsons info and write about specific stuff. 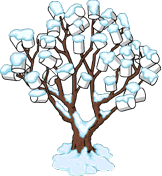 For this post I will be going over a couple freemium decorations that came with Act I of the 2015 TSTO Holiday Event and the third prize for Act II… the Marshmallow Tree, Lollipop Flowers, and Ye Olde Chocolate Shoppe. They might seem like strange items to be included with Christmas but I’m in love with them mainly because of their origin. 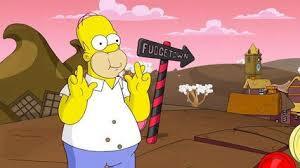 Can you think of a candy-related episode from The Simpsons? Well.. let’s take a look at the TV Series to find out. I actually wrote up the origin for just the freemium items but as often happens, there’s so much stuff to shoot out to y’all, this post was still sitting when the Chocolate Shoppe dropped. Since they all come from the same episode, I included them together. Anywho… on to the episode. 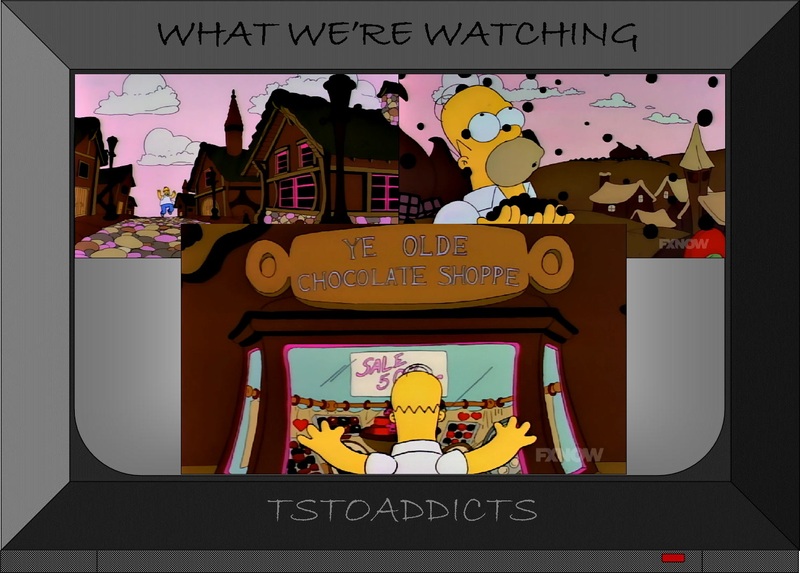 Of course there’s more than just marshmallow trees and lollipop flowers… Homer ends his chocolatey journey at none other than Ye Olde Chocolate Shoppe. 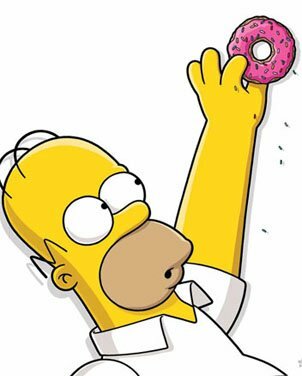 Funny that Homer daydreams for 10 minutes and gets fired. And that’s it friends… Lollipop Flowers, the Marshmallow Tree, and the Chocolate Shoppe from a daydream that now are part of our games. Pretty sweet that EA threw in this little callback from Season 3 to coincide with this year’s Christmas update. 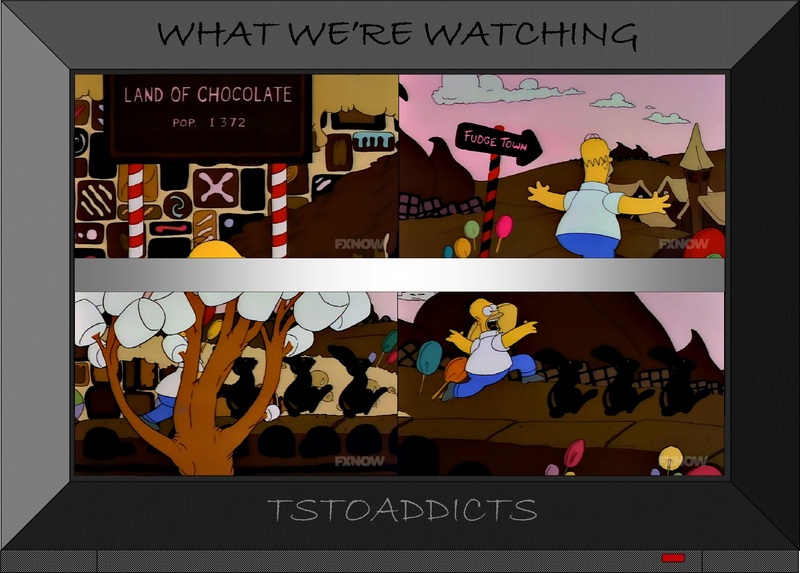 You may also remember the Land of Chocolate from the first level of The Simpsons Game (2007). The Marshmallow Trees and Lollipop Flowers featured here too. Did you already buy a ton of these beauties for your town? Earn the Chocolate Shoppe yet? They could look right spiffy next to the Fortress of Choclitude or your Santa’s Village if you have them. Heck, they could go well next to Clausco too. What did you do with them? The prices are right IMHO – Lollipop Flowers – $6500/Marshmallow Tree – $10K. Sound off in the comments and Happy Merry Tapping to all of you! 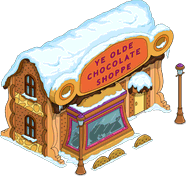 This entry was posted in Buildings, Decorations, Where Did THAT Come From and tagged 2015 TSTO Holiday Event, Act 2 Prizes, freemium decorations, Land of Chocolate Simpsons, Land of Chocolate The Simpsons Game, Tapped Out Christmas Update, The Simpsons Tapped Out, TSTO Addicts, TSTO Christmas 2015, Ye Olde Chocolate Shoppe Simpsons. Bookmark the permalink. I’ve gotten several of the decorations and put them around Suzanne The Witch’s house, since it’s supposed to be gingerbread and entice children. I’m sure I’ll place a bunch more in my Christmas area, too. I also hope they allow us to place them in KL at some point. I’d like them to do more with it. I feel like it’s been totally forgotten by EA. After re-seeing the image of the chocolate falling from the sky, I can’t seem to get “Chocolate Rain” out of my head (I bet that’s where he got the idea). I turned like half of Springfield Heights into an outdoor shopping mall then dedicated a little area to be “Santa’s Village” and put the Chocolate Shop next to that. I bought a bunch of the trees and bushes, with the plan of adding a Land of Chocolate to Springfield. These, the shop, the Fortress of Chocolatude, and the fudge factory. Should make for a nice suburb. I’ve lined my campfire from Hallowe’en with marshmallow trees so campers can easily make s’mores! Is there crafting in Act 3? Would it use the same crafting resources as the event so far? Should I save or spend my resources before Act 2 ends? You mean an event in the game that is all about playing tsto. That would be awesome! I bought the lollipop flowers because, I think, if you put them right next to each other in a row, they might actually look like an interesting kind of fence/wall (and I’m always looking for new types of fences/walls!). I also bought some marshmallow trees, but I’m not sure whether I’ll use them, since I’m mostly keeping my town to a more reastic look I’ll need to see what those look like with the other trees, once the other trees get their leaves back. It’s too bad they weren’t marshmallow flowers or bushes, because then I could pretend they were cotton and have a cotton field somewhere. I know it’s not what you meant but all of a sudden I picture skyfingers forcing the Simpsons to pick cotton every time they’re mad at the game. Oh, but I did have a thought along those lines…. I had a passing thought about needing those “immigrant” elves back from last Christmas to pick the cotton, but it felt too “wrong,” so I didn’t post it.